Why settle for attending someone else’s event when you can create one of your own that will keep people talking for the rest of the season? When you sign up for a club membership with AIM Events, you can do just that, and so much more. Whether you want to mingle with the stars in Ibiza or network in London, the right event can make you a face and a name to remember. Access to a club membership that admits you to the top nightlife spots across Europe is a must have for anyone wanting to live a luxury lifestyle. VIP club membership that gives you access to reserved tables and celebrity experiences is even better. But attending someone else’s event means you are still just a face in the crowd. Even with a dedicated events management team getting you access to the top events, making the right impression can still be challenging. However, when the same events management company works with exceptionally gifted partners, you can create an event that showcases you and your tastes and that brings the top names in entertainment and business to you. You can host an event knowing that everything from the technical design and artistic coordination, to creating quality photographs and videos of the event is taken care of. You become the focus of everyone’s attention and are the person to be seen with. What’s more, if you work with AIM Events, it is not just the event itself that is taken care of, it is your travel arrangements, hotel reservations, purchase handling, and even real estate support. All of which means that you can get on with your busy life, enjoy the nightlife in Europe and beyond, and know that everything else is being done for you. The top event management companies choose their partners with great care and AIM Events is more particular than most. We hold our partners to the same high standards of passion, dedication, and excellence that they expect from our own team. So, who are the partners that AIM Events works closely with and what can they do for you? With International Nightlife Association, you can start your event right with the perfect location and venue. International Nightlife Association can provide you with a top venue almost anywhere across the globe. Visual Edge, the one-stop shop for event design across the globe, will design and implement your vision, and if you are unsure of what that is, they can provide the creative direction you need. For Raccoon London, an event is only as good as the memories that people have of it. So Raccoon London creates high-quality video and photography to help those memories stay fresh for longer and help spread the word about your event. Relaxing before and after your event or while you are away from home on business or for pleasure is just as important, and that is where partners Mr & Mrs Smith and Thirty-Nine Monte Carlo come in. With the best club membership from AIM Events, nothing is left to chance. 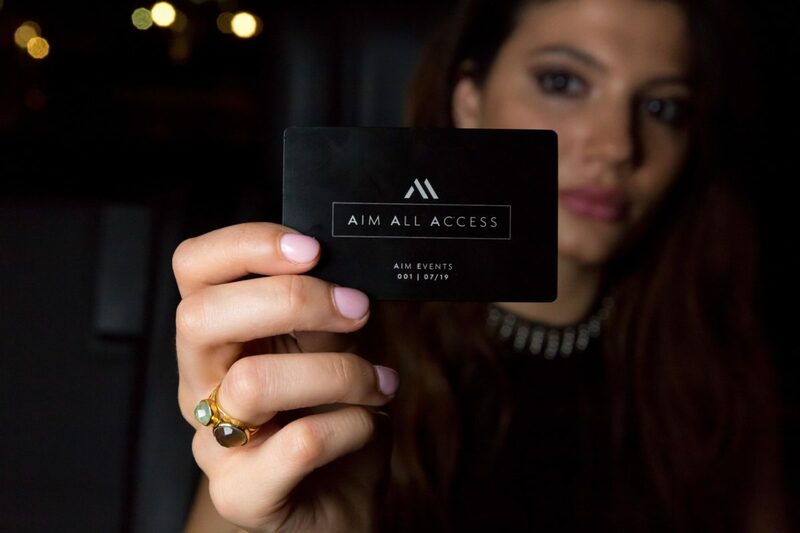 If you’re looking for a club membership that offers more than just access to the best nightlife venues around the globe, then sign up and become an AIM Events member today. Choose the membership type that best suits your needs and start living for the high life, not just the nightlife.